Today I’m talking about one of my favorite ways to save money on my Fall Wardrobe. The secret = buy it in the SUMMER! That’s right people. It may only be July, but THIS is the time to get the best deals of the year on everything you’ll need for Autumn at the Nordstrom Anniversary Sale. Last year was my first year to shop the sale (I know, very late to the game over here). I had heard about it before, but I didn’t understand how it worked and how it was different from most department store sales. I want to share with y’all what I learned from the sale last year, how I’m approaching it this year, and some tips and info that will hopefully make it more successful for YOU! So WHAT is it? It’s Christmas in July, that’s what it is. It’s a massive store-wide sale that Nordstrom has once a year. They have items on sale in literally every department from t-shirts in the Juniors section to designer handbags. The best thing about it is HOW it’s different from other sales. Most stores place older items on sale at the end of the season, but not Nordstrom. The items on sale are all NEW ARRIVALS for Fall! They launch them at super discounted rates, and then at the end of the sale, the prices go up for the rest of the year. So the key is knowing WHEN to shop. 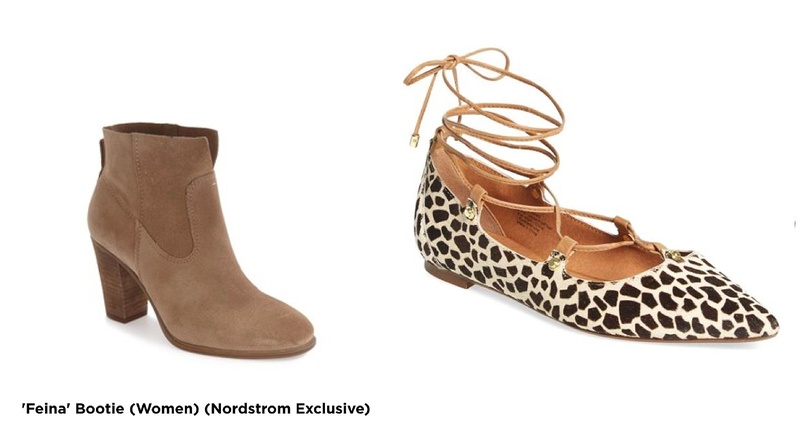 If you are a Nordstrom Cardholder you get to shop the sale a week earlier than everyone else! Kent and I personally don’t really use credit cards. In fact Nordstrom is the only store credit card I own. I got it last year just so I could shop the sale items a week early (I was scared the things I wanted would sell out!) and it was so worth it to have the early access to everything. If you are a cardholder, you’ll get to start shopping this Thursday, July 13th! That’s 8 days before the sale opens to the public. The sale ends on August 6th so make sure you’ve made all your selections by then since prices will jump on the 7th. Ok, you need to have a game plan. Since last year was my first time shopping the sale I was a little overwhelmed. I went to my local Nordstrom on the second day of early access and between the giant tents everywhere, the massive number of items on sale, and the crowds, it was kind of nuts. I grabbed a bunch of things while I was there, but I went home and did most of my shopping online from the comfort of my own bed that night. Nordstrom has free shipping so it’s so much easier and less stressful to do it that way. There were a couple of items I wasn’t sure about the sizing on, so I just ordered two sizes and then returned the one I didn’t need (They have free returns too. Holla.). Secondly, since there’s so much to go through, start thinking about what you’re actually looking for, or make a list of what you need. For me? I pretty much always get a new pair of fall boots or booties, and then I really want to find a good pair of designer denim this year! I’m also looking for a Fall handbag, some light weight and chunky sweaters, and possibly a pair of leather leggings or pants that I can wear when we go to New York in September. Once you know what you’re looking for it helps you to make a budget and pull the trigger when you see something you want. The tricky part of the sale is that items can go FAST and sometimes they aren’t able to restock them. I got two pairs of shoes last year at the NSale and BOTH of them sold out and weren’t able to be restocked later in the Fall. I wore them both so much during Fall and Winter and I always felt bad when my followers clicked on the link to get them and they were no longer available. So make sure if you see something you like you grab it! If it’s not as cute in person you can always do a free return both by mail or in the store. I will be shopping the sale a day early (on Wednesday) so check back on my blog Thursday morning! I’m going to share lots of dressing room photos, talk about how things fit, and show you guys what my picks were! I’ll also be doing a fun giveaway during the sale so make sure to stayed tuned to my Instagram for a chance to win! You can learn more about the sale here, apply for a Nordstrom card here, and browse a small preview of the sale here. This is such great information Sarah! Thank you! I look forward to Thursday morning. LOVE this. so helpful, thanks babe.